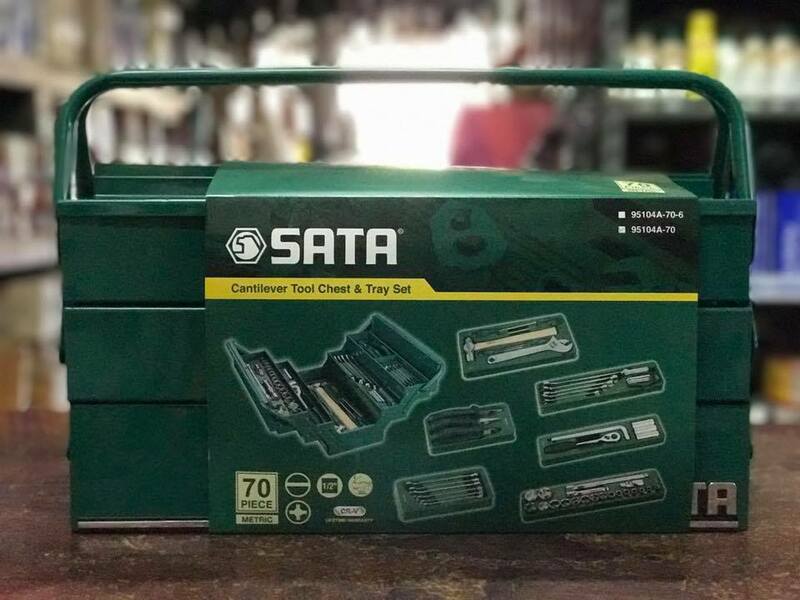 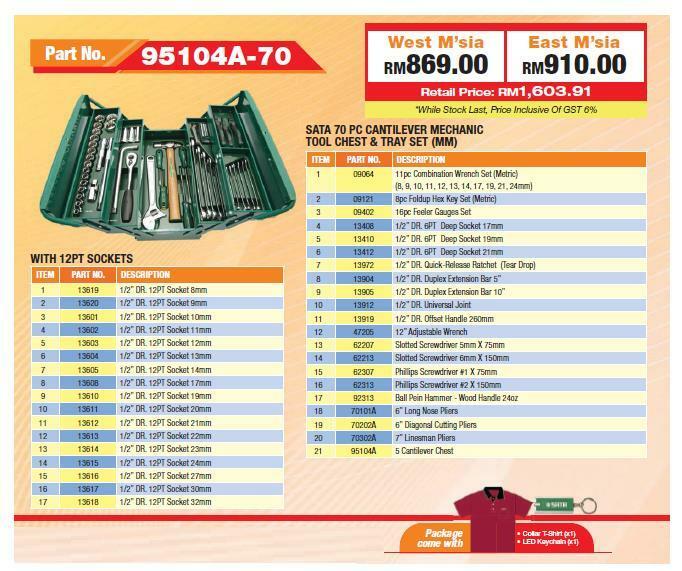 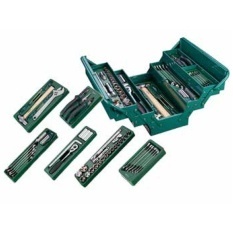 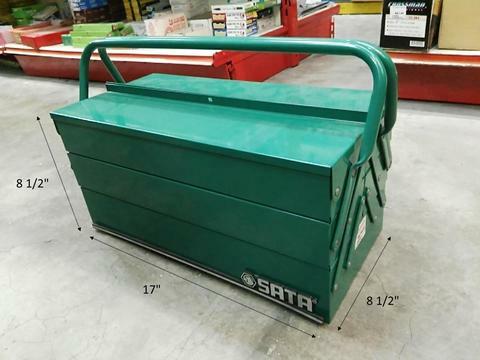 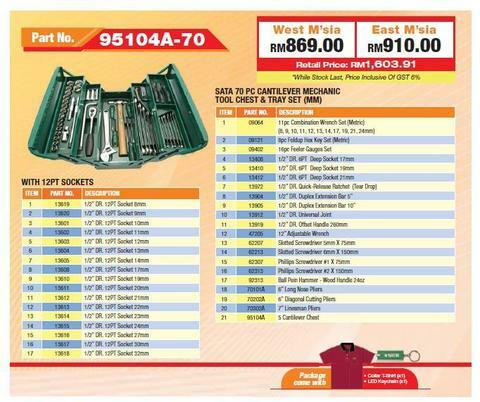 Sata Tools 70pc Mechanic 5 Tray Cantilever Tool Chest Set.. 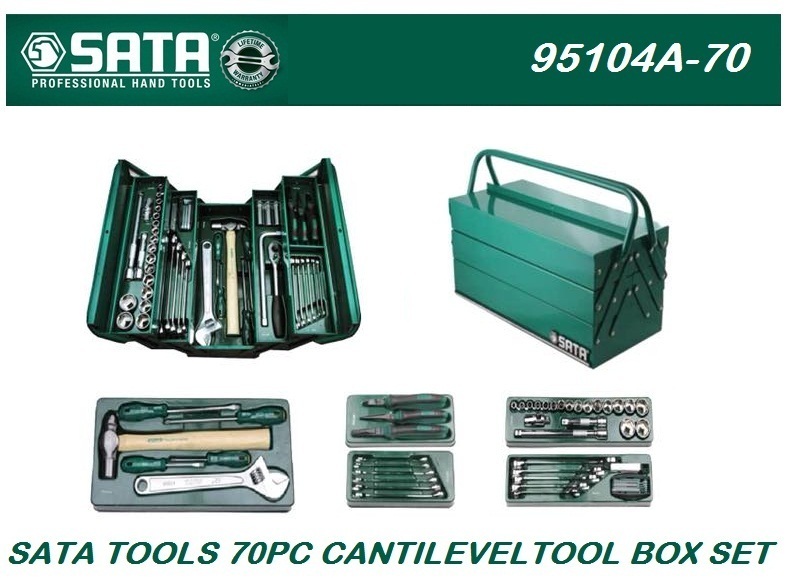 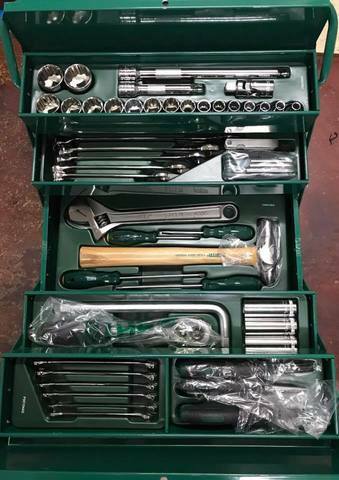 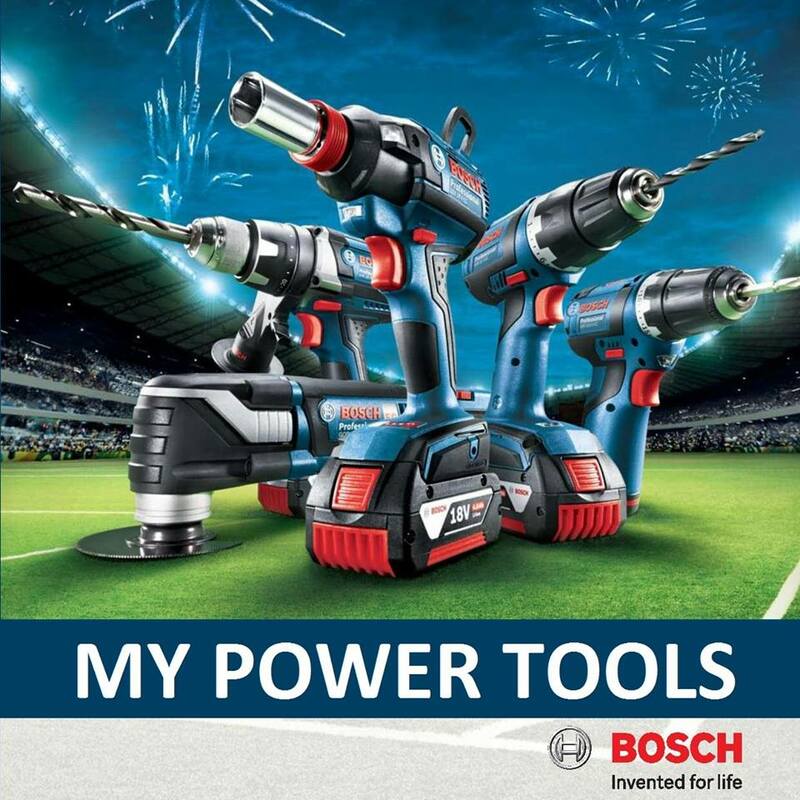 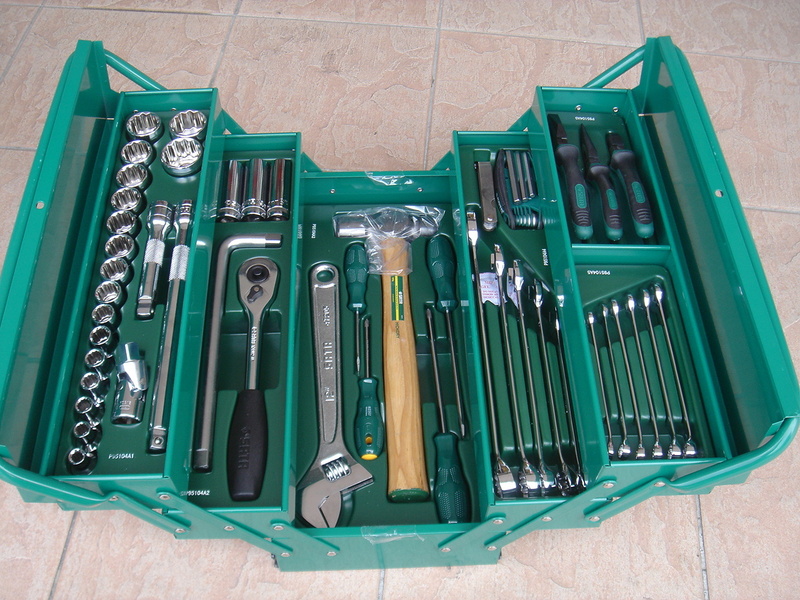 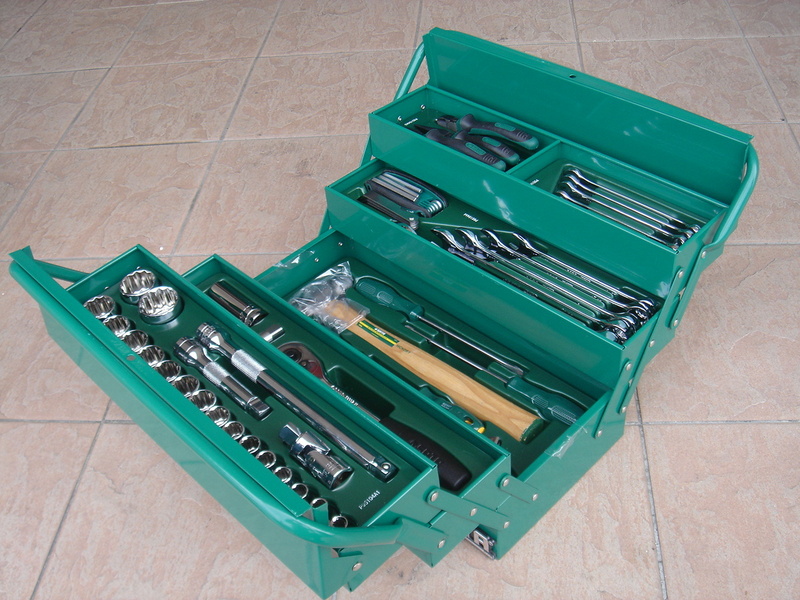 Wide range tool kits suitable for professional tasks and workshop, garage, electrician, technician works. 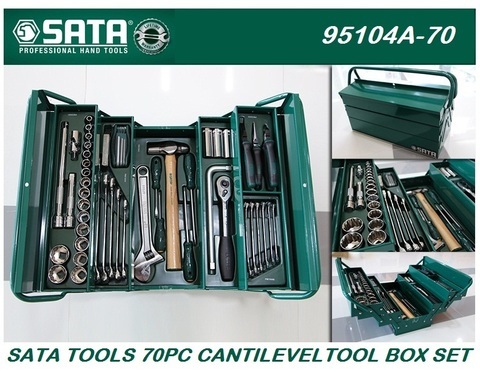 .All items well packed in lockable 5 tray cantilever metal tool box. .Made of galvanized steel, phosphate for rust-resistant. 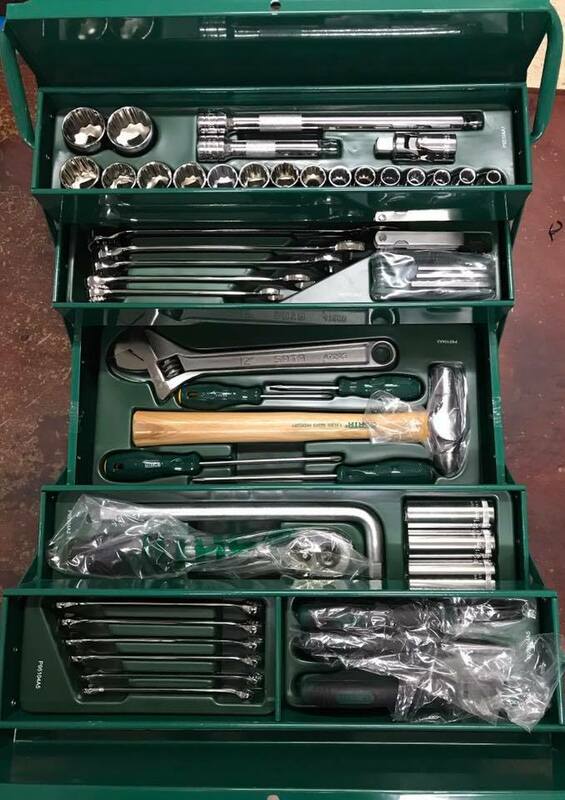 .1.2mm thickness steel body for strong and lasting usage. 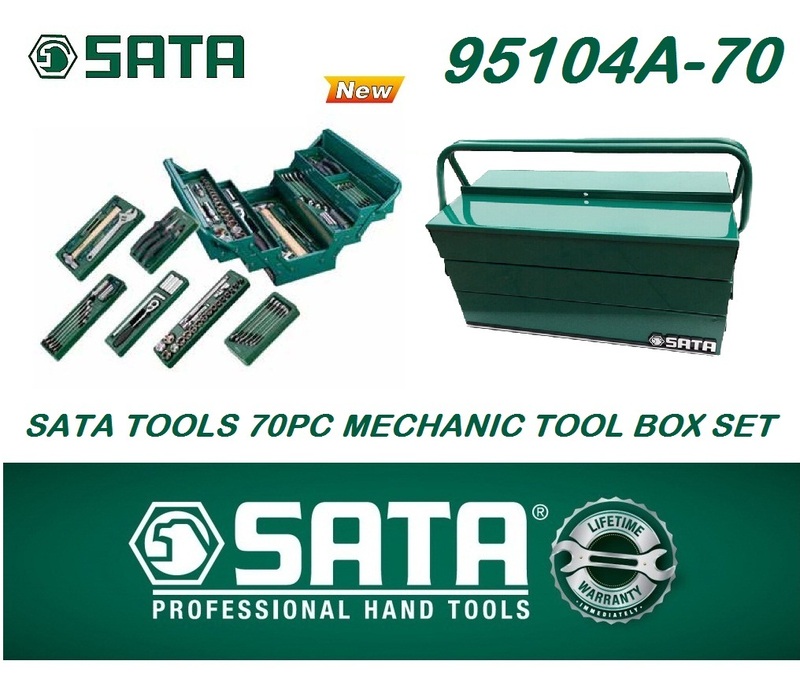 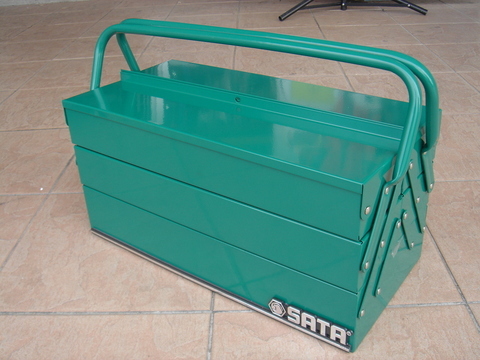 .Sata tools limited life-time warranty. 8.) 13904 - Sata 1/2" Dr. Duplex Extension Bar 5"
9.) 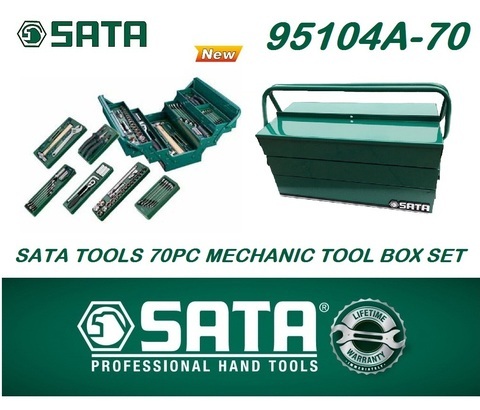 13905 - Sata 1/2" Dr. Duplex Extension Bar 10"
PRICE RM699.00..(Sata Tools Lifetime Warranty)..